Would an Institute for Detectorists aid revision of the Treasure Act and implementation of the Valletta Convention? RESCUE's annual open Meeting is on Saturday 13th April, 2-4pm, at UCL Institute of Archaeology, Room 612. 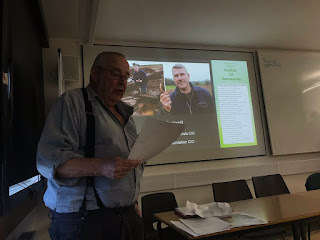 Talk and panel discussion around the proposed Institute for Detectorists and the proposed changes to the Treasure Act 1996. FREE admission, open to all. Would it do what? Bonkers. The answer to the question is 'no'. Who is responsible for this nonsense? This photo from the Rescue News Twitter feed shows what must be one of the biggest holes dug by a metal detectorist in the UK. Most of them restrict themselves to removing a spadeful of earth. Has anybody who was there got any reflections to share with us?